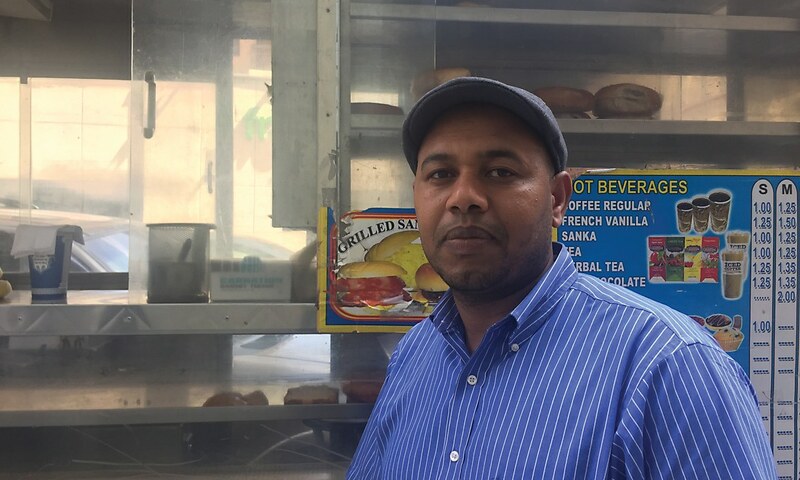 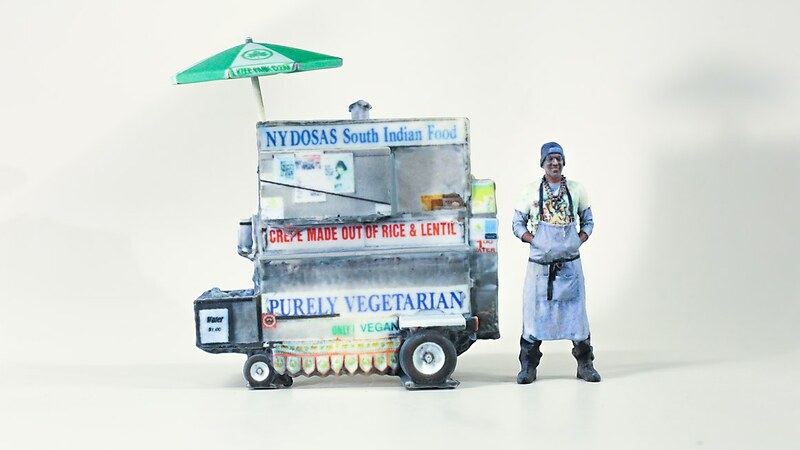 Overview: The installation Hidden in Plain Sight shares the unheard stories of those who work in every corner of New York City: street food vendors. 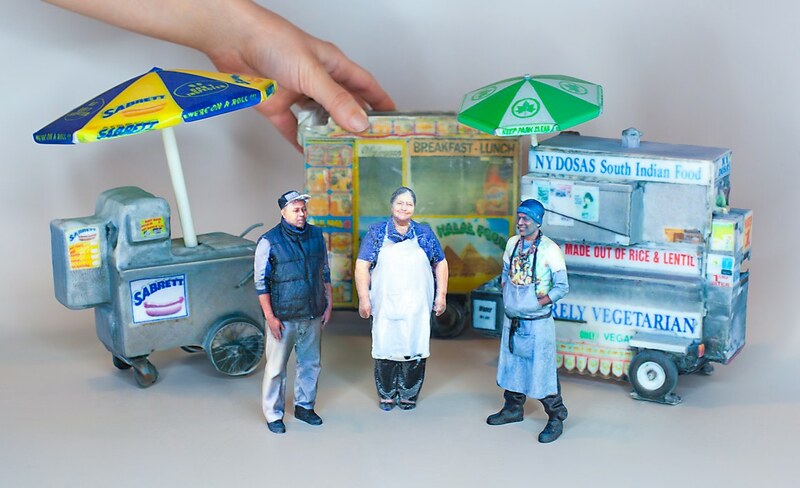 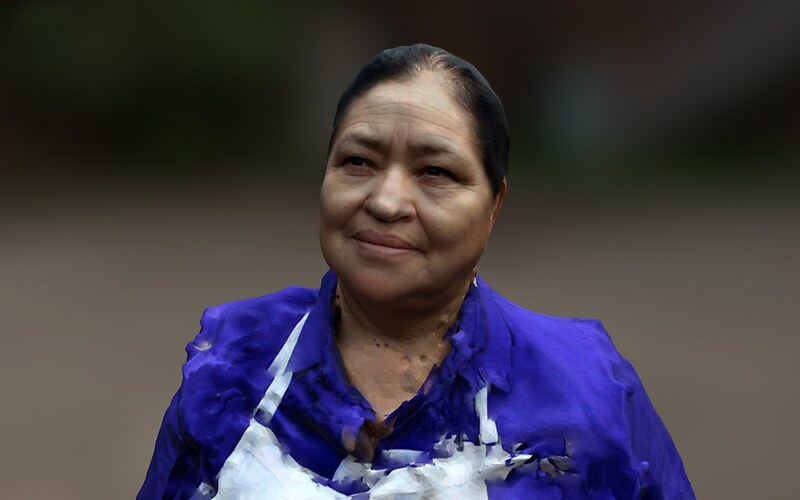 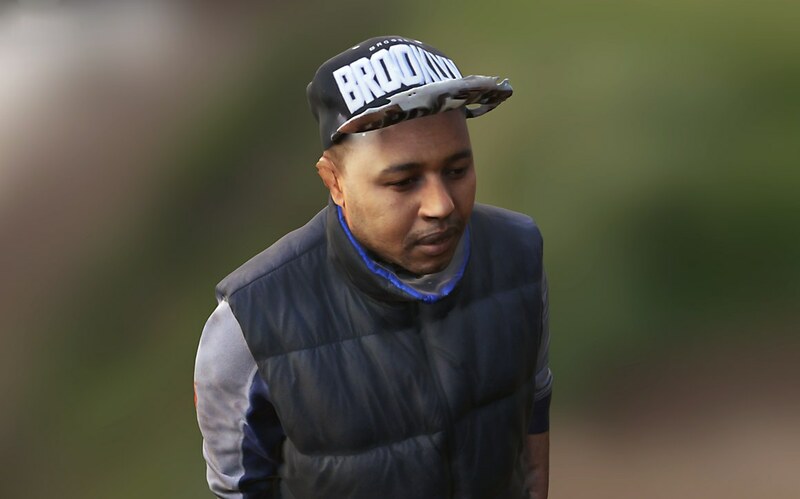 In this series of portraits, each work features video and audio merged into small 3-D-printed high-fidelity sculptures of food carts and the people behind them: Ana Herrera, Dany Hassan and Thiru Kumar. 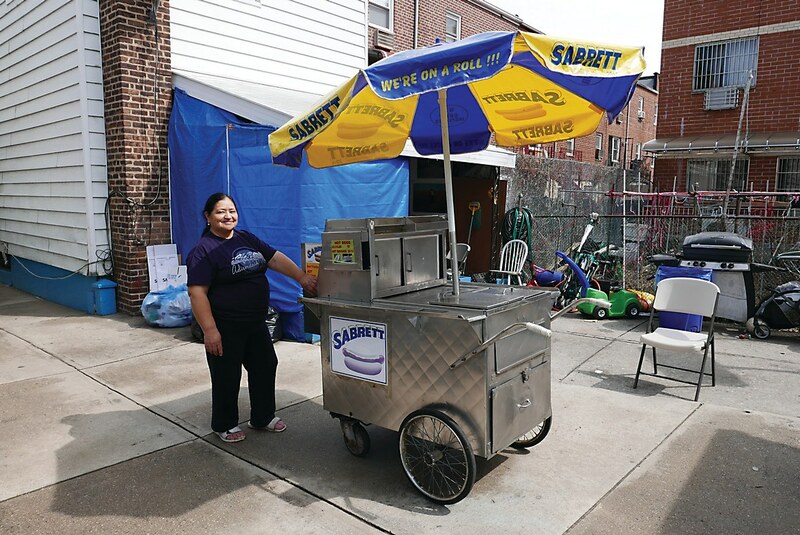 When users interact with a food cart, audio is triggered, and the vendor starts sharing her or his story. 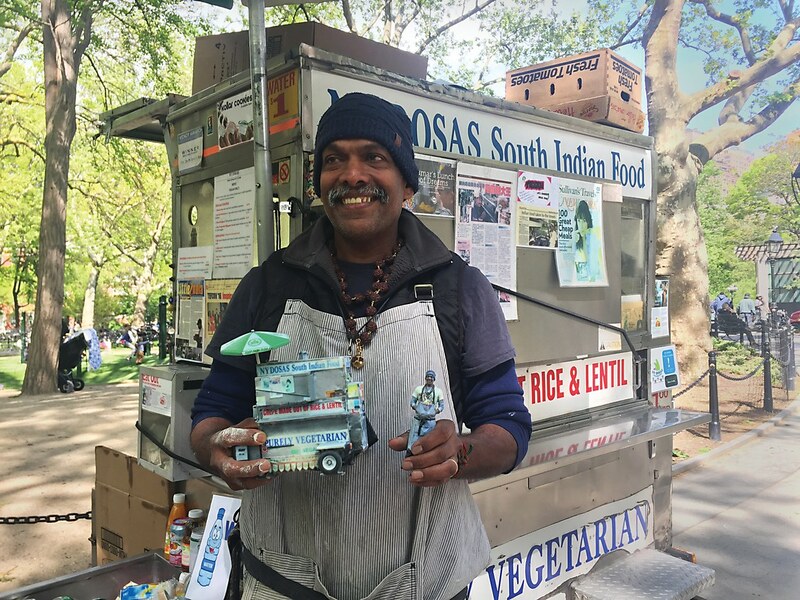 As listeners learn about each vendor as well as the city’s complex street-vending system, minimalistic animations are mapped on top of the carts. 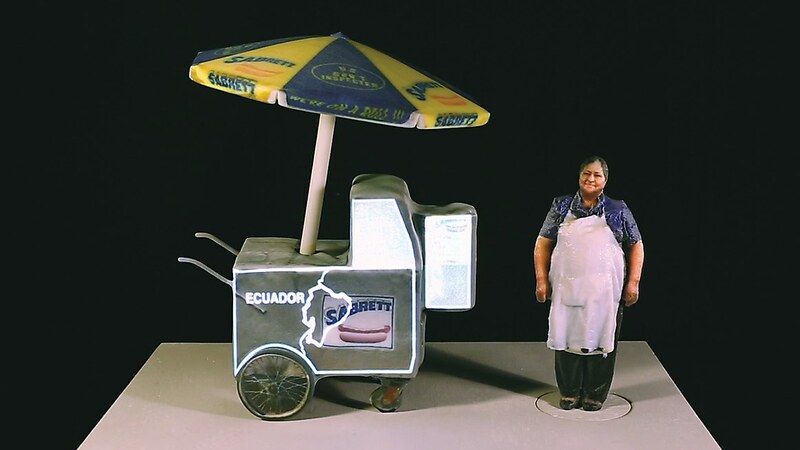 • Michelle Hessel produced the installation between January and May 2017 for her thesis project. 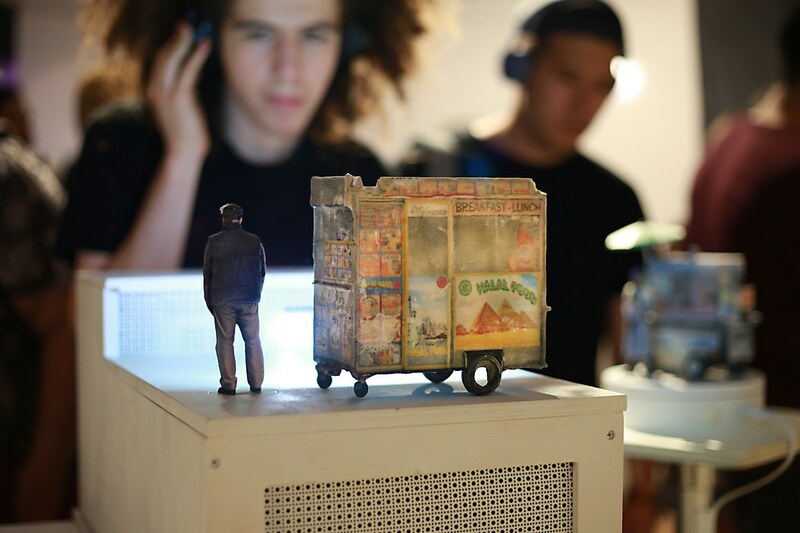 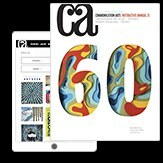 • The project was shown at New York University’s Interactive Telecommunications Program Spring Show 2017, where 1,500 people saw it. 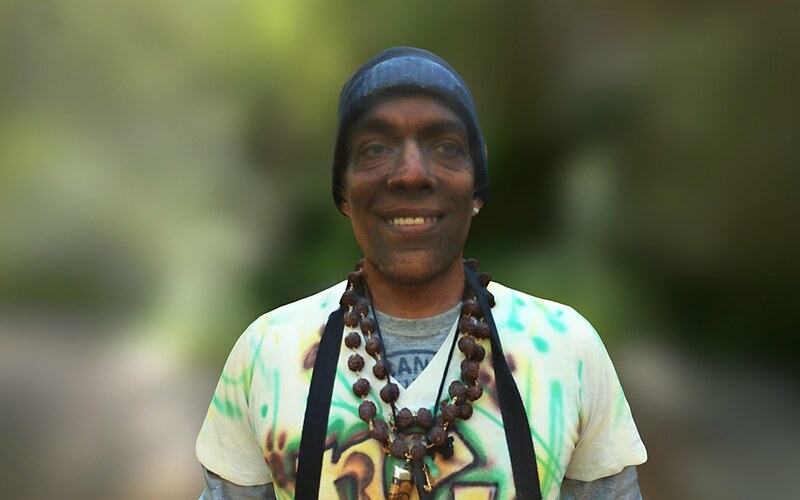 • People can learn more about the project at the website hiddeninplainsight.xyz.